On the 28th of September the Stalingrad front was renamed into the Don front (commander – general-lieutenant K. Rokossovskii) and the South-East front - the Stalingrad front (commander- general-colonel A. Eremenko). 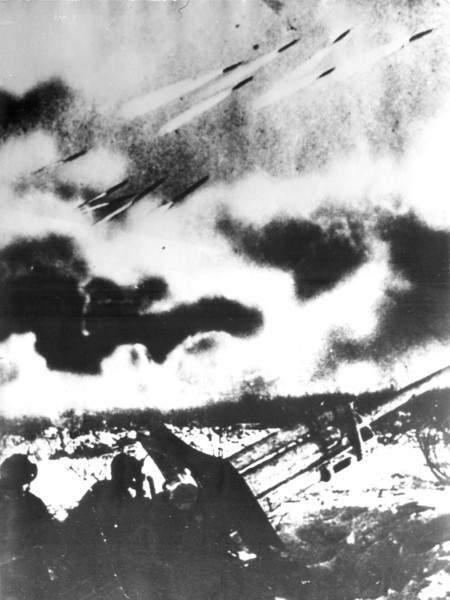 The battles in the region of the village Orlovka in the north-west of Stalingrad began on the 28th of September and lasted till the 12th of October. They ended up with the German fascists forces coming out to the factorial and plant districts of the city. The forces of the 6th German field army still overpowered the soviet 62nd army in the number of men, artillery, tanks, and airplanes. On the 15th of the divisions of Verrmaht succeeded in breaking through the thin part of the defense near the river Volga in the area of the Stalingrad Tractor Plant. The forces of the 6th field army of Verrmaht tried on more time to capture the city on the 11th of November. By the end of the day they managed to take over the south part of the artillery plant and burst through the line of 500 meters to the Volga. But that was the last success of the German fascists forces. On the 18th of November, 1942 the defensive period of the Stalingrad Battle was finished. During the four months of battles between the rivers Don and Volga each of the sides of the war actions experienced heavy casualties in men and materiel. Heroic Stalingrad defense of the soviet forces has destroyed the plans of the of the German command for the victorious ending of the war in 1942. all the necessary conditions were created for the soviet armies to make the smooth change from the defense to the counter attack. The plan of the counterblow, developed by the soviet command, provided delivering massive surrounding attacks on the flanks of German fascists forces in the area of Stalingrad in the descending directions to the city of Kalatch, having the goal of full encircling and total defeat of the 6th field and 4th tank armies of Verrmaht. The preparation of the counterblow had already started during the period of defensive battles. 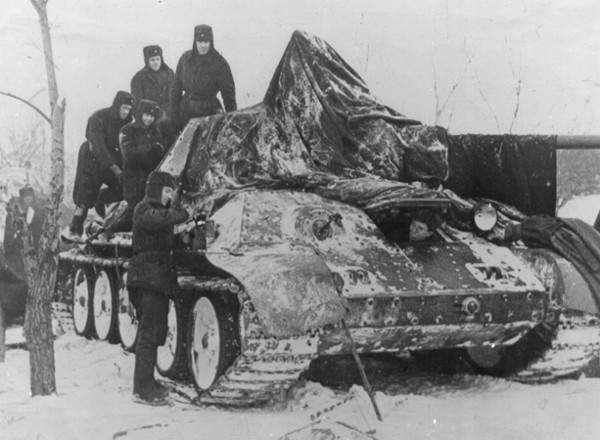 By the beginning of the counterblow the soviet forces owned 4 tank, 3 mechanized and other corps, which were combined of 900 tanks – 60 % of all tank and mechanized units, which were at disposal at the German-Soviet front. The artillery has been enforced the same way. The forces counted more than 13,5 thousand armaments and mortars. Concentrating the tank, artillery and aviation units and divisions for the approaching counterblow, the soviet command simultaneously directed new rifle formations into the region of the counter attack. For the realization of this military operation the forces of the three fronts were integrated here: newly formed South-Western front (commander – general-lieutenant N. Vatutin), the Don front and the Stalingrad front. Representatives of the Soviet Headquarters, army general G. Zhukov and general-colonel A. Vassiliev, carried out the coordination of actions between the fronts. Soviet forces stood against the German fascists group of “B” armies (the 6th field and 4th tank armies, the 8th Italian army and the 3rd and the 4th Romanian armies). 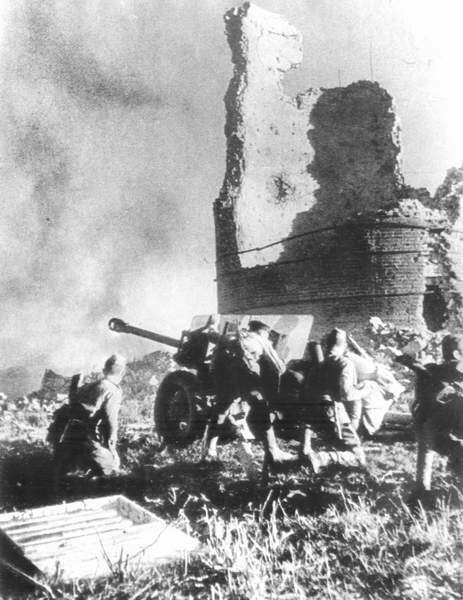 At 7.20 am on the 19th of November the counterblow of the soviet forces at Stalingrad began with firing volleys of the thousands of armaments. The soviet command set up double and in some parts even triple number superiority in forces. On the very first day the armies of the South-Western front, advancing from the areas of the Serafimovitch city, demolished the defense of the 3rd Romanian army and commenced moving in the direction of the south-east to the city of Kalatch. The 5th and 21st armies were situated on the edge of the major attack, supported by the aviation of the 17th and 2nd armies. On the second day of the advance the parts of two Romanians corps. The battles on the line of the advancement of the Don front, supported by the aviation of the 16th army, were characterized as the most intensive ones. On the 20th of November the forces of the Stalingrad, setting their first blow in the south of Stalingrad, paved the road for the advance. 62nd army was holding the chaining battles in the city. The actions of the front were supported by the 8th aviation army. Ruining the German fascists forces, they headed to the north-west, to the city of Kalatch.